Teaching a robot how to grasp a pen seems like an innocent enough project. Even robots constantly saving data from dozens of attempts to pick up those objects doesn’t raise many issues. 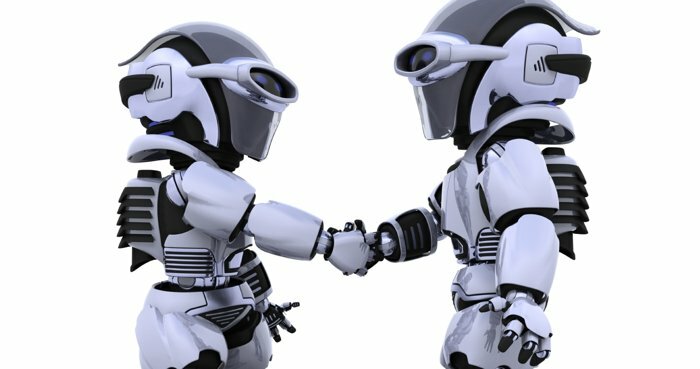 But researchers at Brown University, DexNet, and Google Research (among others) are exploring the ways in which their robots could store the data that comes from all of this practice in the cloud, to be downloaded later by other robots who need the same skills. Now it’s not just about picking up objects, but about massive data transfers between robots. In the grasping experiments, human intervention was limited, but still necessary. Researchers wrote the algorithms, made sure the devices were powered, and added new objects to the mix during the experiment, but it was the robots that had to “learn” to adjust their movements through multiple attempts. And it was the robots that then uploaded this data (every mistake, the circumstances for every success) into the cloud for other robots to download. Not unlike a small child learning to hold something correctly for the first time, the robots then become more adept and build on this knowledge. Combine this with the EU’s Horizon 2020-funded project RobDREAM, which aims to enable robots to enhance their capabilities and consolidate information while in their inactive phase (while they are powered down, or “sleeping”). The goal is to use this inactive phase to continue processing experiences made during the working day. RobDREAM also wants their robots to process, or “dream,” of other possible situations they may encounter and how they would operate under those conditions to be successful. RobDREAM also has an autonomous component, allowing the robots to make alterations to their routines based on the data they have processed. A robot cloud would allow for even more experience transfer. It’s helpful when our devices cooperate with one another, but this is a whole new can of worms. We’re not days from being incapacitated by teams of robots working together, but there are important questions that scientists, citizens, and policymakers alike should ask, such as: How will we regulate information in the cloud? How much autonomy should we give to our robotic aides? 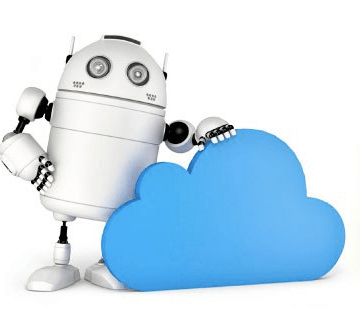 Can the robot or cloud be hacked to download dangerous information? How eager should we be to limit human intervention in these situations?